A classic setup that cuts through. 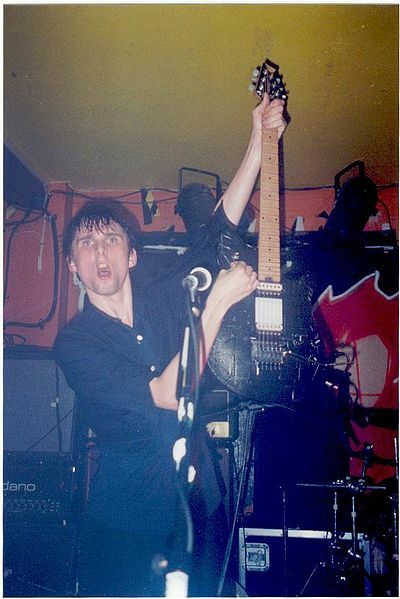 Matt is seen using this amp (on top of the Soldano head) in this photo of a live performance, during Muse's early days. In this article found on Silversun Pickups' official site, some of his amps are listed, including a "’90s Fender Hot Rod DeVille 4×10." 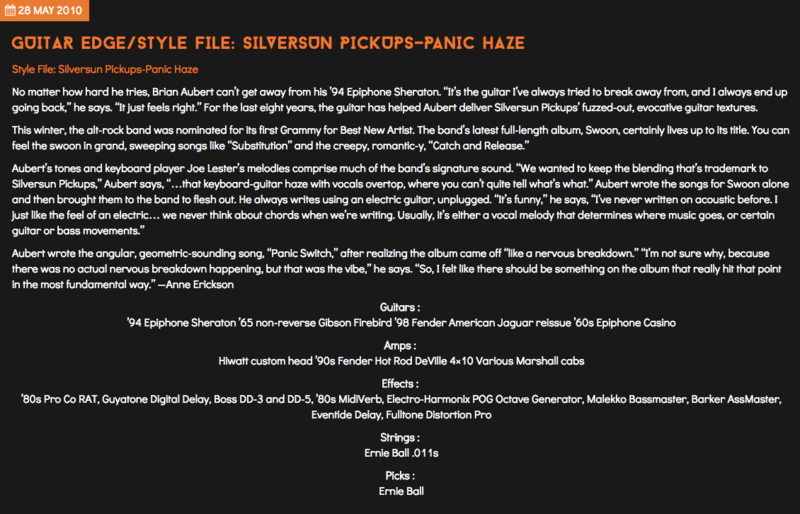 The article is dated May 28, 2010, and can be found [here](http://silversunpickups.com/guitar-edgestyle-file-silversun-pickups-panic-haze/). In this photo, Chaz can be seen playing through a Fender Hot Rod DeVille 4x10. In this source interview with "The Dumbing of America" Kevin McKeown recalls the usage of the Fender Hot Rod DeVille 410 III 60W 4x10 Tube Guitar Combo Amp. En los comentarios de esta foto, se puede apreciar a Pablo, respondiendo acerca de los amplificadores que usa. Utiliza 2 Hot Rod Deville en Vivo. "Mikel, our singer, and I both use Devilles on the road," Steven says, at 0:15. A second 4x10 combo amp used by Mac, possibly to replace his more common '59 Bassman Reissue for a night or two. According to [this interview (transcribed from the February 1998 issue of *Guitar Player* magazine)](http://www.oocities.org/sunsetstrip/backstage/1076/article2f.html), Kevin utilized a Hot Rod DeVille 4x10" during the recording of "London" from Third Eye Blind's self-titled debut album. 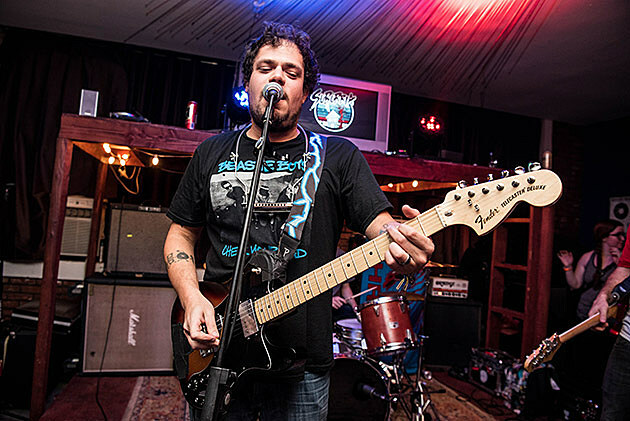 Mac can be seen playing into the 410 Deville during his September 2014 KEXP set. In 2017, Nils Lofgren opened an online account on Reverb's website, on which he sells his own pieces of gear. So far, a lot of items have been sold, including the Fender Hot Rod DeVille 410 4x10 guitar amp.
" I have had the same Fender 4×10 Deville since 2004, I got it the same time I got that ’72 Telecaster Deluxe – it was a revelation when I found both of those things because I felt like I finally found the sound that was in my head." In this video of Andy performing several volume swells, he uses (and identifies in a bubble) the amplifier he is using as the Hot Rod DeVille by Fender. "On tour I mostly use Fender stuff: guitar-wise, a Strat or a Jazzmaster; amp is a Deville 410 III (unless I'm borrowing at a festival, in which case I'm usually crossing my fingers for something not too dissimilar from my own amp, like a Deluxe or a Twin Reverb or something)." In this Tumblr post from November 25, 2013 Brendan answered someone's question about what amps they use. Pretty sure Jake doesn't play this anymore but from the date is is evident he used it on Sports (2012) and possibly continued to use it during the You're Gonna Miss It All (2014) era. The amp can be seen clearly at 1:28 in the video of La Dispute preforming "Nine," uploaded in 2015. 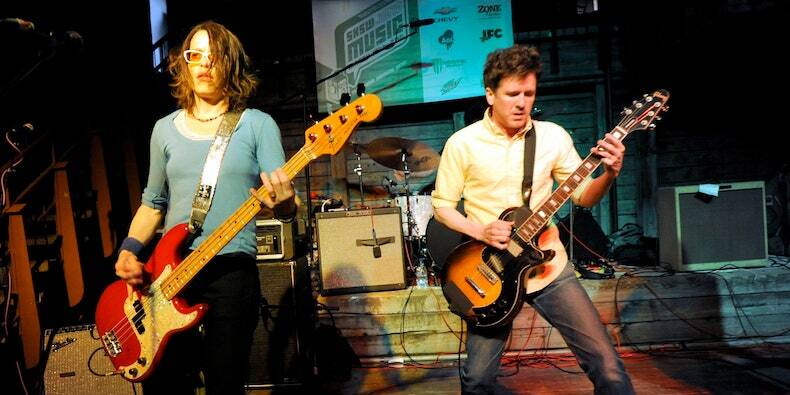 During a Reddit AMA promoting 'Never Hungover Again', user nnavs asked what kind of ger they play, to which Barry responded "chase an I play out of fender deville amps and he plays a rickenbacker and I play a peavey t-60 - Barry"
The Fender Hot Rod DeVille 410 III is a 60-Watt guitar amp combo with classic 4 x 10 speaker configuration borrowed from the legendary Super Reverb and '59 Bassman amps, the bottom end headroom characteristic of 6L6 tubes, and a versatile all-12AX7 tube preamp, with amazing clean and overdriven tones, luscious Fender spring reverb, effects loop, and more. An 8-ohm extension speaker output even lets you add a cabinet for additional stage coverage. The new Hot Rod Deville 410 III also includes these upgrades: easier reading black control panel with front reading text, new badge, streamlined footswitch, graduated volume, and treble pot tapers. triode is actually more like 3/5ths volume, triode to pentode, get it.... and half power wouldn't be like half voulume…. the way you hear, half volume from say a 30 watt amp would really be a 5 to 10 watt power amp with the speaker system being equal efficiency and frequency response. The drive channel-to-master relationship is great, and really gives me a huge range of tone. Everything that needs to be said was already mentioned. I don't really like the drive channel, like many other users, but the clean channel is the typical Fender clean channel, with endless headroom that everybody loves. Great amp good tone I find that you can get al sorts of voicings with it.